Fourteen persons, including 11 women were killed, and 23 others injured when a major fire broke out in a pub here early on Friday, an official said. The blaze was reported around 12.30 a.m. from a bistro The Mojo, a rooftop restaurant in The Kamla Trade House, in Lower Parel area of south Mumbai. It quickly spread to another surrounding pub and a restaurant in the Kamla Mills Compound, said a Brihanmumbai Municipal Corporation (BMC) Disaster Control official. President Ram Nath Kovind, Prime Minister Narendra Modi and Maharashtra Chief Minister Devendra Fadnavis have expressed grief over the incident. The official said more than 12 fire tenders were rushed to fight the blaze which was finally brought under control around 6.30 a.m. The entire pub and the surrounding complex was full of patrons, including many women and tourists thronging the fashionable area to unwind. Mumbai Police have booked the owner of the pub for negligence, culpable homicide not amounting to murder. Initially the blaze was suspected to be triggered by an electric short-circuit. There are many major corporates, TV-radio-print media offices, more than three dozen high-end restaurants, pubs, etc, which also suffered damages in the blaze and their working was likely to be affected on Friday. 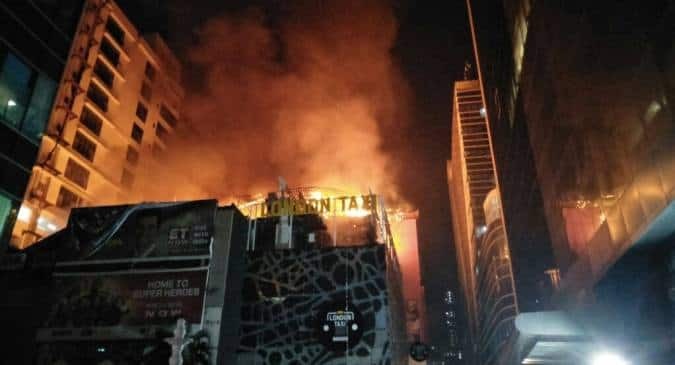 The blaze comes as a huge setback to the government’s plans to make nightlife attractive by permitting all shops/malls to function round-the-clock, to generate more employment. Barely nine days ago the state government had notified the amendments, though it was not made applicable to bars, pubs, discotheques and wine shops. However, these were expected to come under the ambit of the new laws in due course, with the BMC initiating measures in this direction. Blaming the BMC for the fire, Mumbai Congress President Sanjay Nirupam said that stringent action should be initiated against those persons responsible for allowing the eateries to function despite rules being flouted. Bharatiya Janata Party MP Kirit Somaiya also attacked the Shiv Sena-controlled BMC for lapses on its part which led to the fire and demanded a complete fire-audit of all buildings in the city immediately. Why girls are more emotional than boys? Study answers!